United Airlines has issued an apology to a disabled passenger who ended up crawling off the plane after he was told he’d have to wait another 15 to 20 minutes for a wheelchair, on top of the 15 minutes he waited for the other passengers to deplane and 15 minutes he’d already spent expecting his wheels. The passenger has cerebral palsy, and was on a flight from San Francisco to Washington last week after attending a meeting with another transportation company, Uber, about disabled accessibility policies, reports MyFox8.com. After he’d already been kept in his seat for a half an hour upon landing, he was told it’d be another 15 to 20 minutes while the staff brought an aisle chair — a narrow wheelchair used specifically to take disabled passengers down a plane aisle — and by now, he needed to use the restroom. His disability makes it too difficult to use the lavatory on the plane. “I was trying to get them to understand that this is why I don’t want to wait another 15 to 20 minutes,” he said. But after being told repeatedly to wait, he said he couldn’t do it any longer. So he got out of his seat and crawled up the aisle and to the gangway, where a wheelchair was ready and waiting. “I expected them to ask to assist me, but they just stared,” he said of the United Airlines staff watching. After the incident, he says he simply went home. “I didn’t contact United at all, because I honestly didn’t believe they cared,” he said. As it turns out, one of the flight attendants didn’t feel right about the situation and reported it to the company. A United representative called the passenger the day after to apologize. The apology was well-received — the passenger said this is happened a few times before with various airlines and this is the first time a company had bothered to apologize. 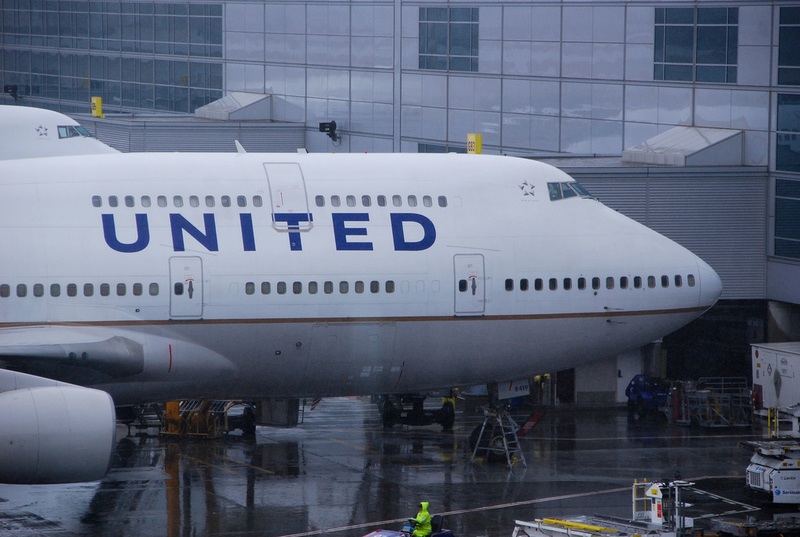 The United rep who called him said the manager on duty that day was suspended, and offered the passenger $300 in compensation, which he accepted. “I just hope they learn from this,” he says. “Our employees — particularly our flight attendants and airport staff — are happy to arrange additional assistance for customers with disabilities on the day of travel,” the airline says.